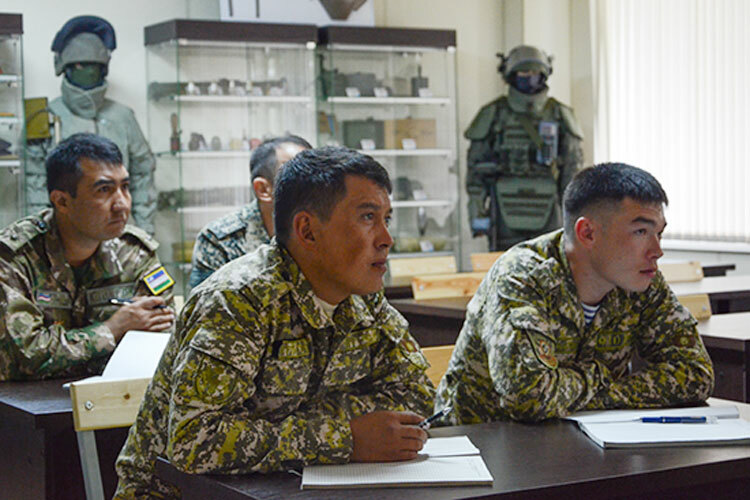 The International Mine Action Centre (IMAC) of the Armed Forces of the Russian Federation in Nakhabino, near Moscow, has begun to train foreign servicemen. Press Release, 5th September: 26 servicemen from the Republic of Armenia, the Republic of Belarus, the Republic of Kazakhstan and the Republic of Uzbekistan will master the humanitarian demining programme in accordance with the international standards of mine action of the United Nations IMAS. Training of foreign servicemen is carried out by the teachers of the centre, who have combat experience in practical demining in the territory of the Syrian Arab Republic. Training is conducted in four cycles: training demining experts; training specialists to counter Improvised Explosive Devices; training specialists in the mine investigation service; and on a cycle of robotics and special works. All practical classes are conducted in specially equipped areas of training complexes.